I suppose I am not alone in saying that the state of our basement (or cellar, if you prefer) has always been a sore spot in our household. It seems this is the case for many homeowners. 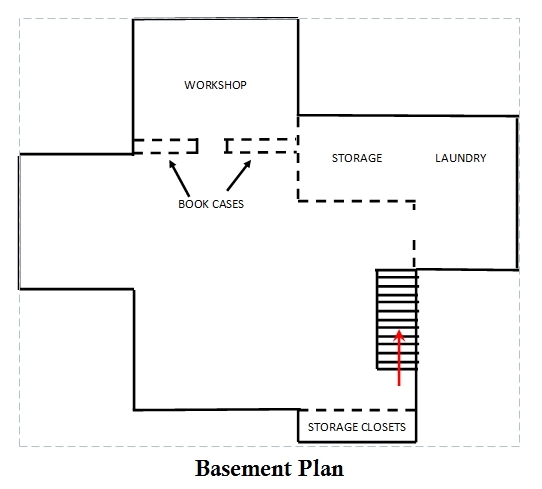 When we built the house almost 25 years ago, the basement served only as storage for a growing accumulation of little-used “stuff” and a place to do laundry. The best thing about it was that due to the poured concrete walls and our well-drained lot, it was always dry as a bone. About 15 years ago, I embarked on a project that divided the open space into a couple of workable areas devoted to specific tasks. First of these was a workshop for myself, which included the mechanical systems like the furnace and water heater, followed by another area that was used for storage and laundry. The storage and laundry areas were enclosed by simple stud-framed walls. 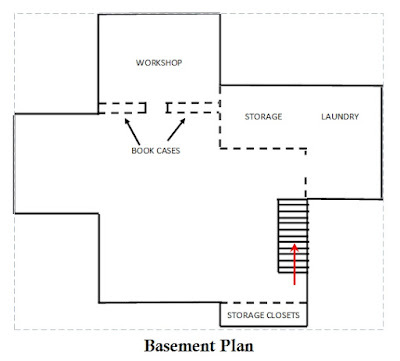 The workshop was a slightly different matter—the “wall” separating it from the rest of the basement was simply formed from 3 large matching bookcases and a desk/bookcase unit, all connected together, then with the 2-foot gap between the top of the cases and the floor joists above filled in with 2’’ x 4’’ framing. A 32” gap between the bookcases became a convenient doorway, and the upper stud-framed portions sections above the bookcases were covered in paneling. The result looks like a wall of built-in units, which they truly are—and since they are not load bearing, they fit their purpose just fine. The storage room I had created included a half-dozen large steel shelving units, which were filled rather quickly. After a few years, it became clear that more storage was needed for the overflow, so I built in some closets toward the front of the house, near the foot of the stairs. This area was relatively convenient to the kitchen, and would offer a fine place for my wife to store some of her larger serving items like large chafing dishes and pans, food warmers and seasonal serving and entertaining accessories that she uses just a few times a year. Originally, I had intended this closet wall—which was about 10’ across—to include a central 4’ wide, 2’ deep inset where I had planned to place yet another one of my many bookshelves. This would have been flanked by a storage closet on each side. Unfortunately, once I had already framed the wall for this, The Boss said she preferred a whole wall of closet storage, and the inset was walled across and another door added. The end result looks fine but the change in plans on-the-fly resulted in a wall of three 24” bi-fold doors where two 36” bi-fold doors would have saved installation time and been slightly more practical. Henceforth, I resolved to consult The Boss prior to framing.